Do you find yourself taking hours to practice your scales… and then aren’t sure how to apply them to your music? Have you tried memorising scales but can’t seem to make them feel natural? How many boring hours do you spend practicing them without really knowing why you should? 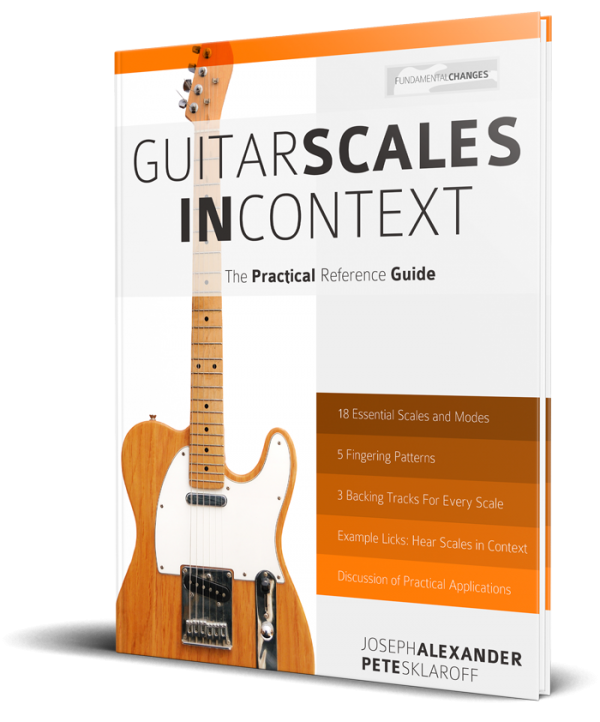 Guitar Scales in Context goes beyond any other scale dictionary available combining the 18 essential scales for guitar with their most appropriate arpeggios and triads, showing you how to link these important musical structures together. 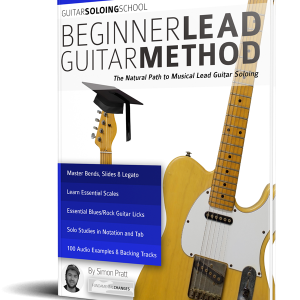 Plus you’re provided with backing tracks and licks for each scale and modes that it covers. Scales should never be learnt in isolation because you miss out on being able to easily use the scales in your music. For example, some notes are ‘stronger’ than others, but how do you know unless you play the scale in context? 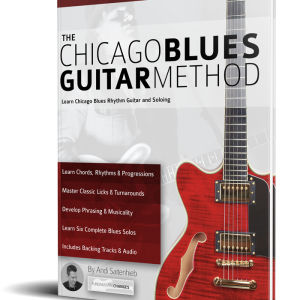 Guitar Scales in Context combines the 18 essential scales for guitar with their most appropriate chords, arpeggios and triads, showing you how to link these important musical structures together. 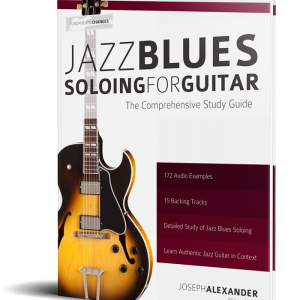 By learning the arpeggio patterns along with each scale shape, you will always know where the strongest notes lie when you are soloing on the guitar. This also helps you build and memorise the scale; physically, mentally and aurally. Each scale and mode is broken down into the 5 most convenient shapes for the guitar. These shapes are then joined together with a full neck diagram so you will master scales on the guitar neck in no time at all. The same scales are often used in different genres of music and we didn’t want to limit your creativeness, so each scale has an extensive information page giving examples of its use and a description of its unique character. Plus there are 3 backing tracks for each scale so you can practice what you learn in a musical context. 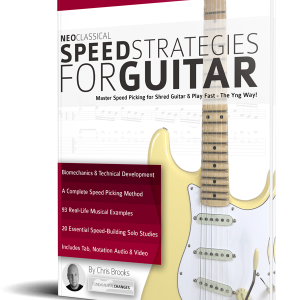 Practice the notated guitar licks (standard notation and tab) with each backing track to truly master each unique sound. Audio is available to download for free from www.fundamental-changes.com.